Starting the build with a wheel. 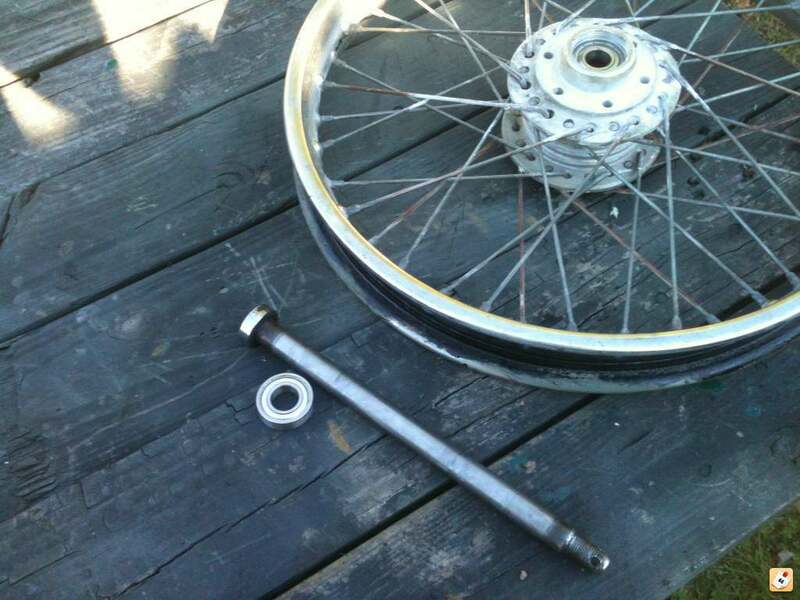 I painted the spare front wheel where it was rusty and got some 6004 bearings (20x42x12) to accomodate the 20 mm rear axle. Needs a new spacer but it will work. 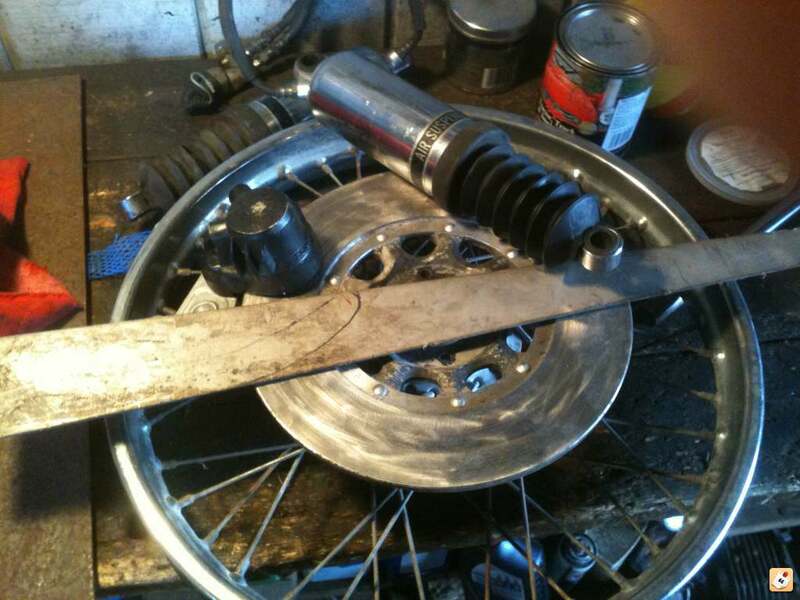 I will probably cut the axle short, reusing CB750 axle will give me the same axle nut and since I have a spare axle, it´s the cheapest way. Will you be running a disc brake? Technically I could, but no. Got me a shiny NOS bearing retainer. ...and made crude wrench to install it. I will use the better of the two shocks. They came off of 1982 CB900 Honda. 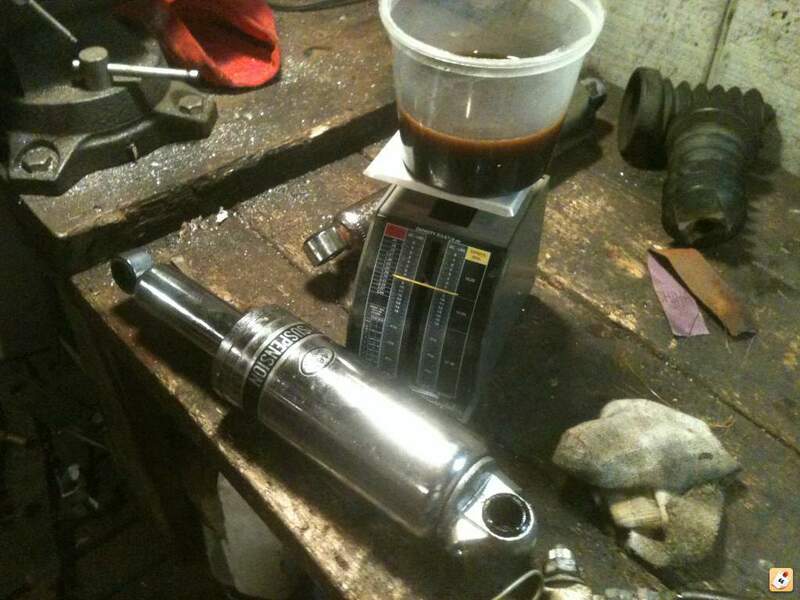 Looks like the shock needs 9-10 ounces of oil. The are pretty stiff, but from what I understand, sidecar needs that. 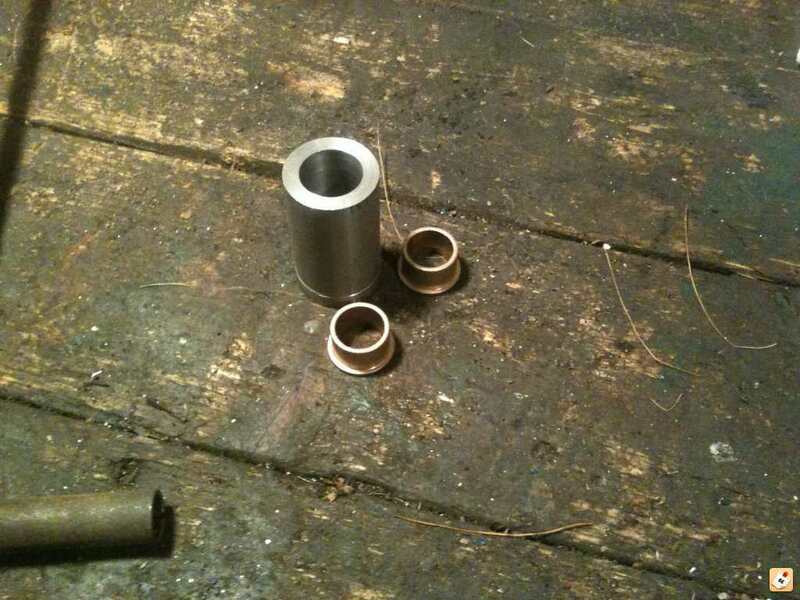 The wheel swing arm will hinge on 20mm shaft in bronze bushings. 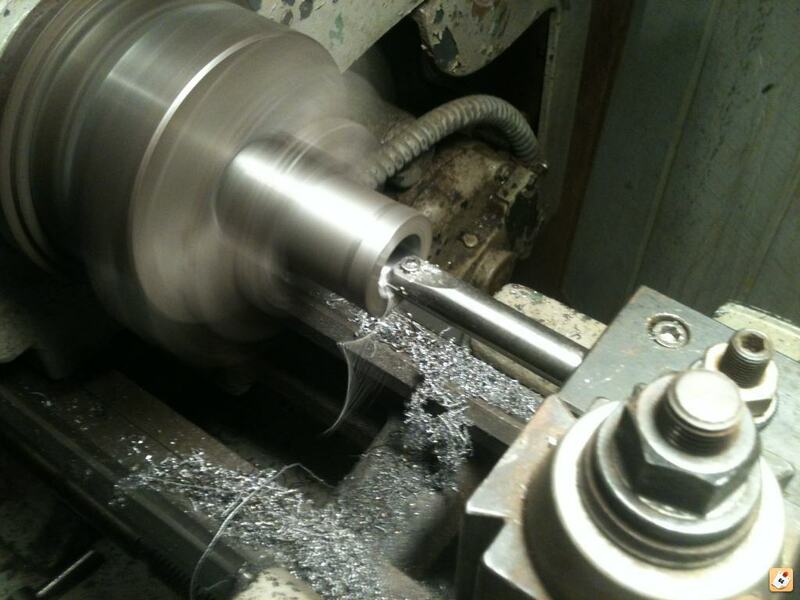 Turning the bushing housing. 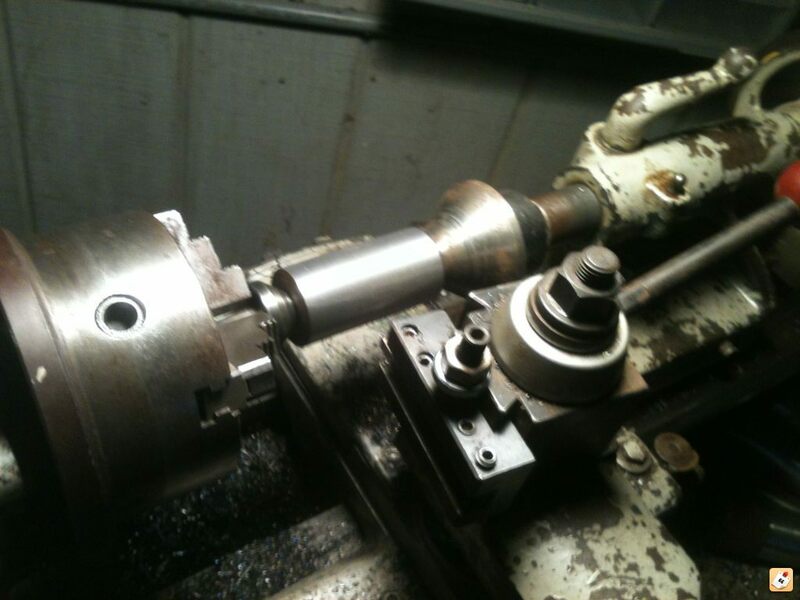 The housing is generic length now, will have to cut it to precise dimensions when the time comes. I think it needs brake. Are you planning to use an auxiliary master cylinder that is operated by the ( foot) brake pedal? 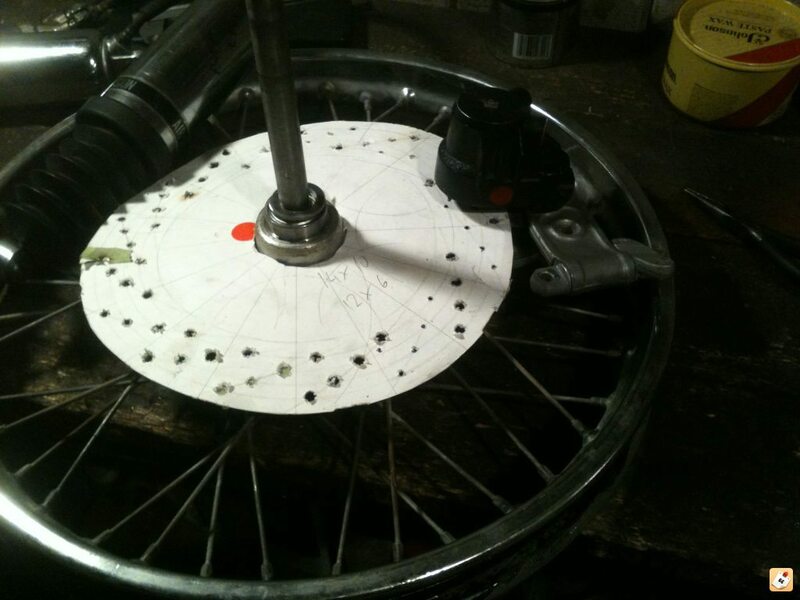 Or are you already running a disc for the back wheel on your bike now? I can go either way since it will eventually be attached to a bike with 78 F wheels but i like the double pedal and sidecar brake cylinder better. Centering on hole without dogs. Are you going to build a leading link for. The front ? It depends how serious I will get with sidecar riding, I am certainly not planning one now. 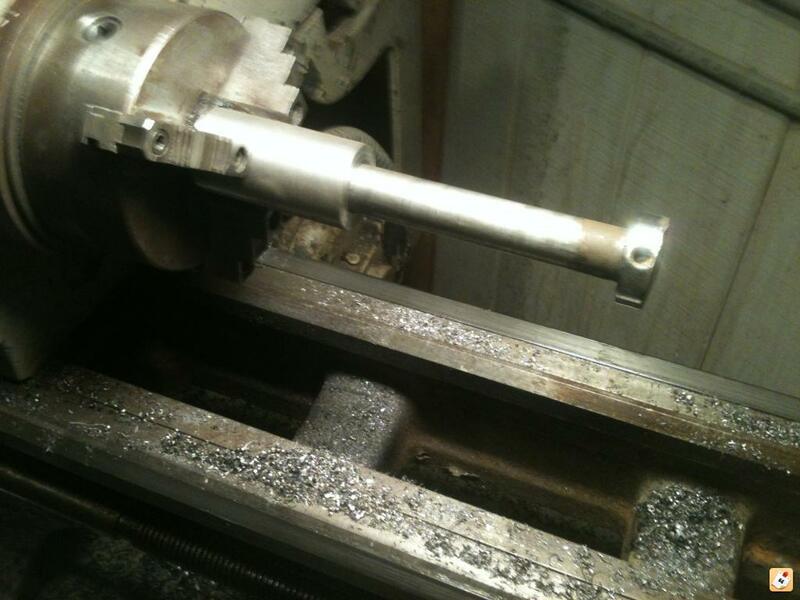 The axle will get shortened eventually. Another mockup, the caliper will work better between the axle and swingarm pivot and there will be more space for the shock. I found nice Velorex to fix but HQ said I need a gun safe first. Larry, almost spot on, except I would like to have it done before my old airedale goes to better place, he is gonna love to ride the sidecar. 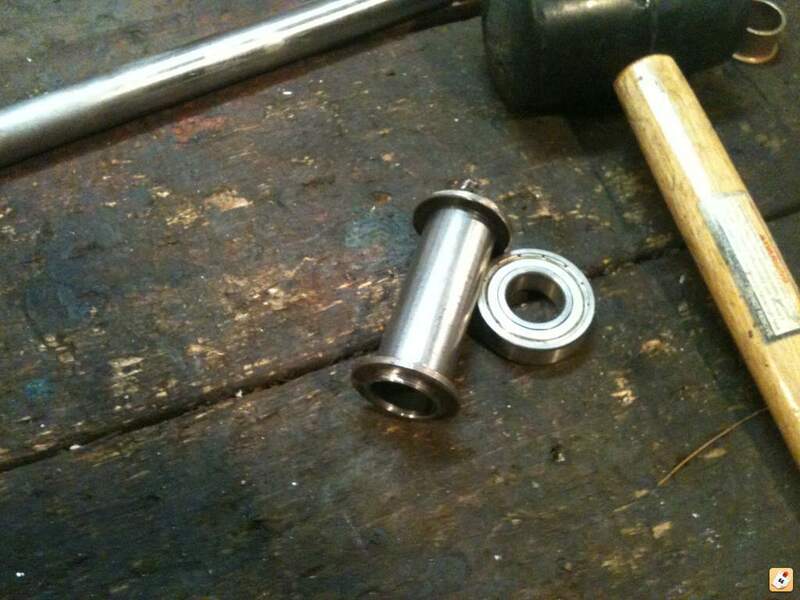 Bearing spacer for 20mm axle. 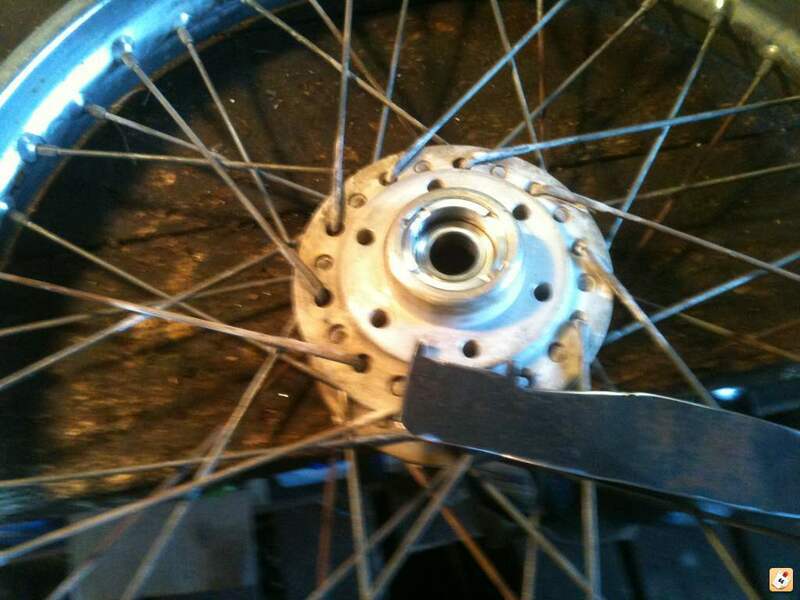 Next timeyou build inner wheel spacer, you may want go use smaller material, with 2 shopmade washers pushed on.